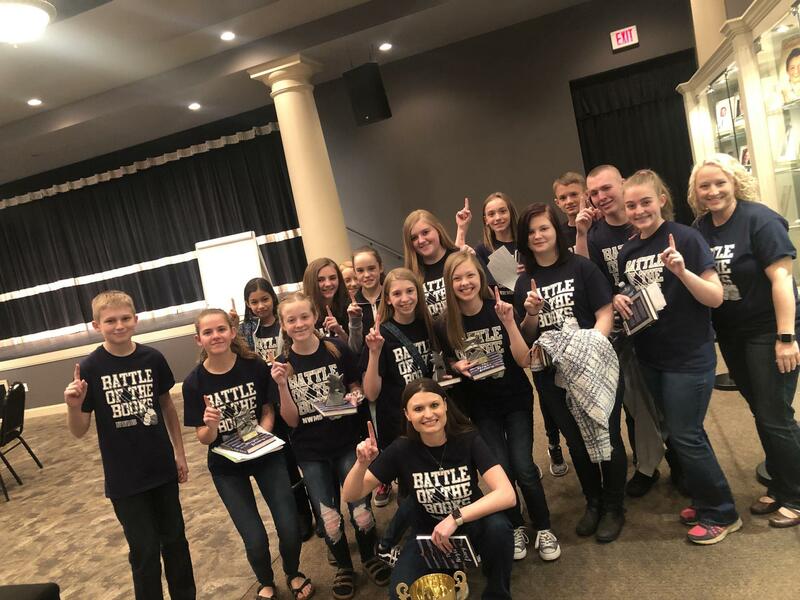 Congratulations to Mrs. Kennedy, Ms. Trivette, and all the members of our Battle of the Books team for their first place finish in the district competition! 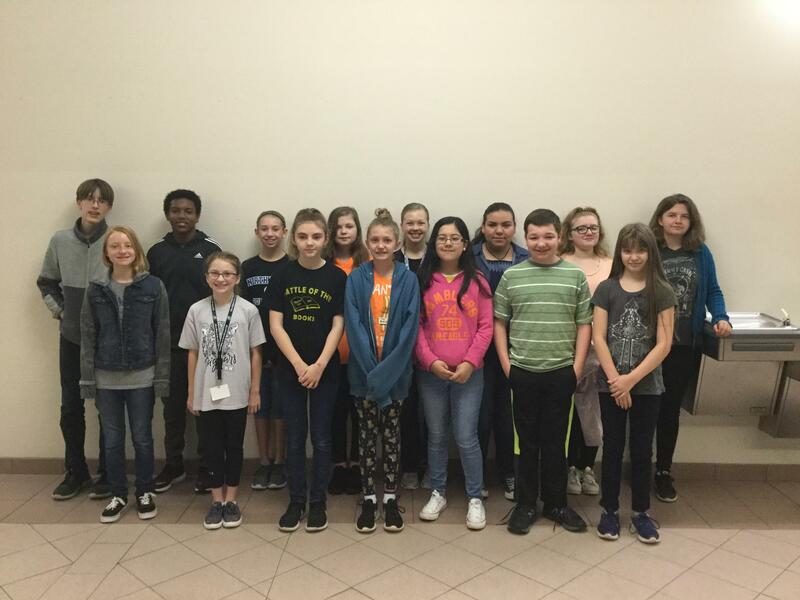 They will now travel to Taylorsville on March 26th to compete in the Northwest Regional Battle of the Books competition! 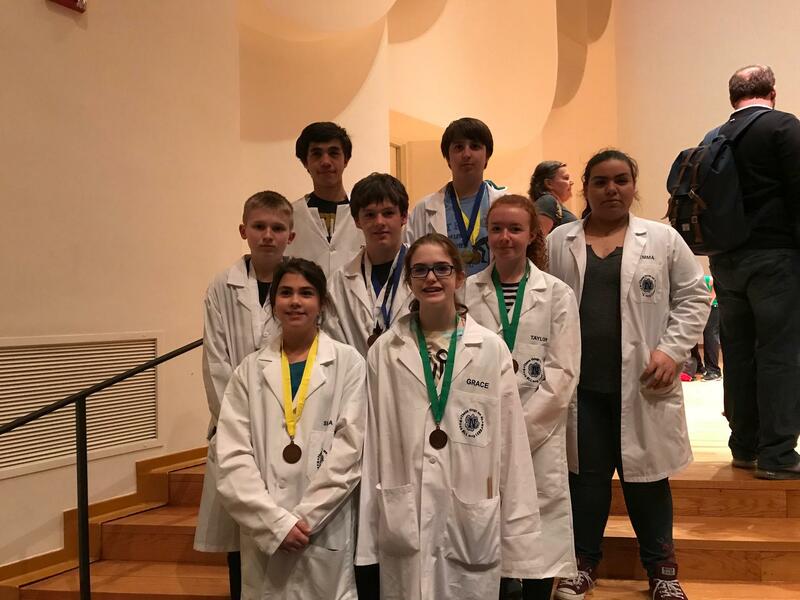 Your Science Olympiad Team went to competition at Wake Forest University on Saturday. We won medals in the following events and placed 8th overall out of 21 Teams. 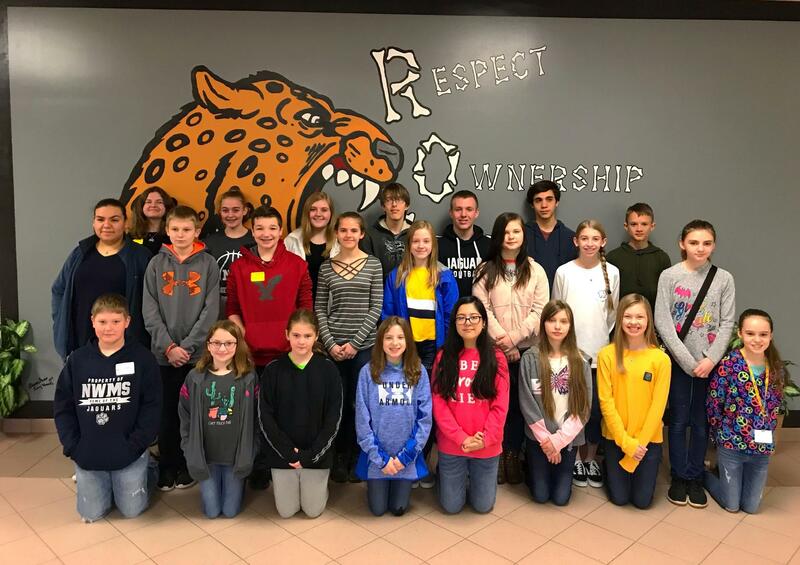 Congratulations to these Jaguars, whose art works was chosen to be on exhibit for Youth Art Show Month at the Wilkes Art Gallery. 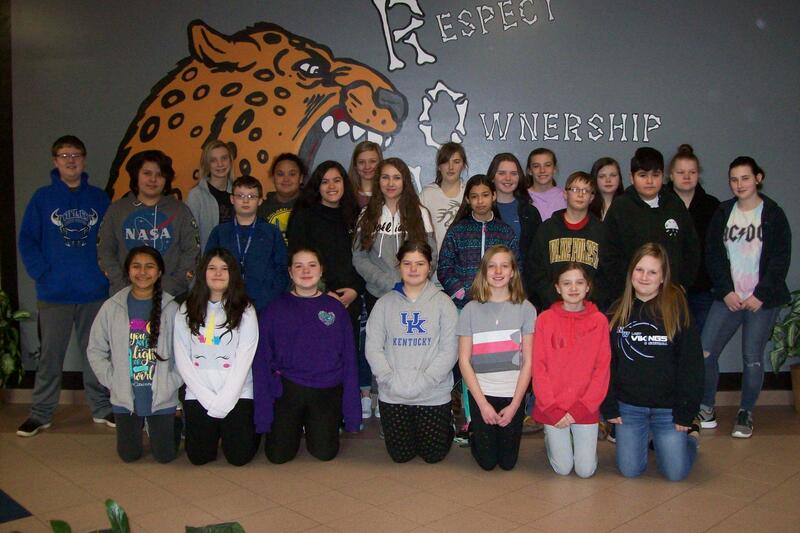 Their work will be on exhibit March 1st - 30th, and the opening reception will be March 8th from 5:30 - 7:30 pm. Special thanks goes to Mrs. Hartzog for supporting their talents! 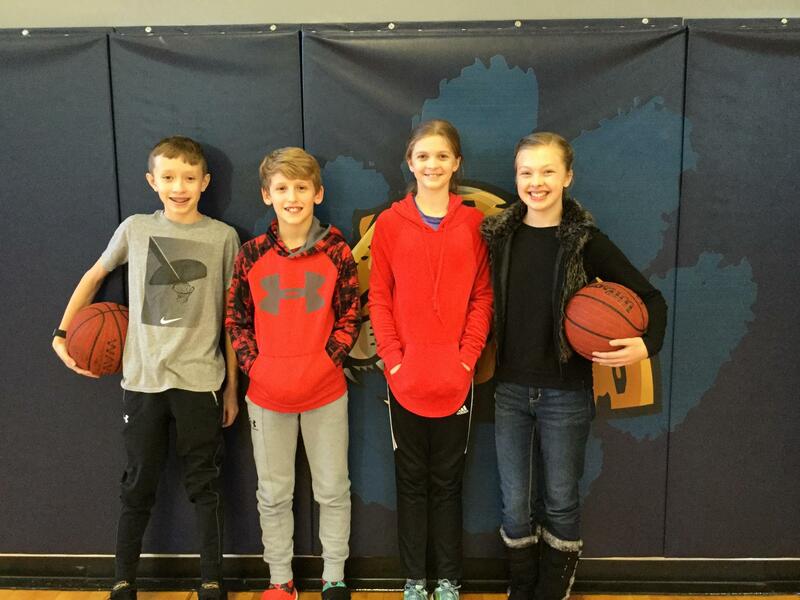 Congratulations to our school Hoop Shoot winners! The winners are (from left to right): Eli Shell (7th), Charlie Childress (6th), Ralee Bare (6th), and Natalie Mathis (7th). These four will represent NWMS in the county competition on January 12th! 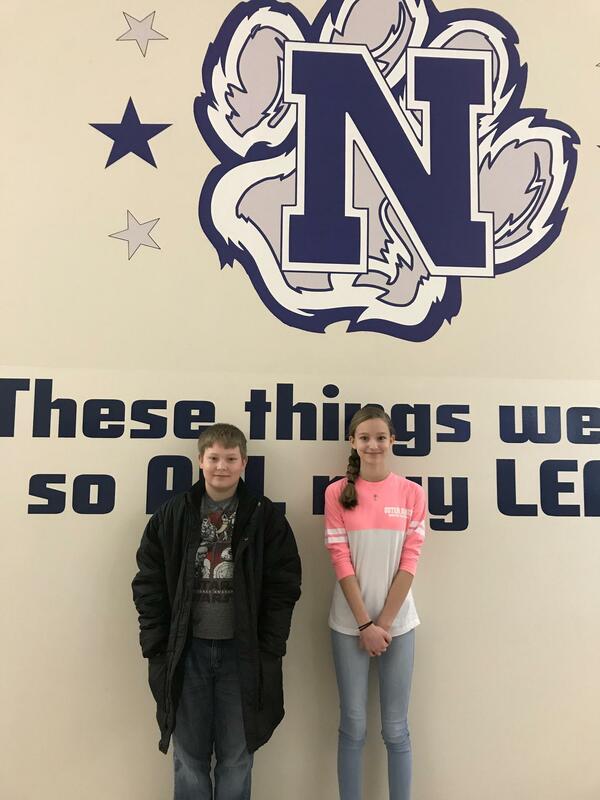 Congratulations to our School Spelling Bee Winners! Overall school winner was Tim Nelson (8th), Runner up was Leah Clarke (7th). 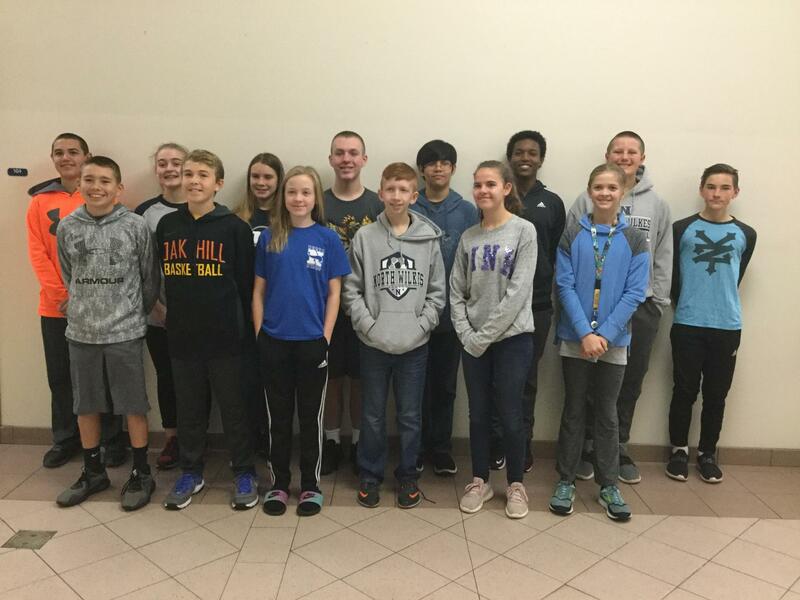 Tim will represent NWMS in the county spelling bee on February 21st at 6:30 pm in the Stone Center. 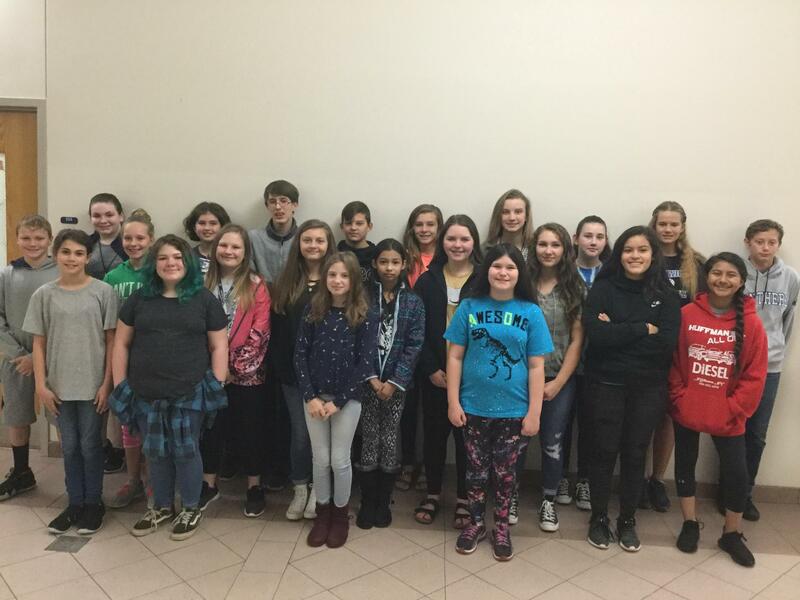 The Yadkin Valley Honor Band auditions and selects students who are enrolled in band in Wilkes, Yadkin, Surry, and Stokes County. Four of our band students auditioned and were selected to the Honor Band. Two of these students were ranked the highest on their instrument and were awarded First Chair in their section of the Honor Band! Those students were Corban Pruitt and Cameron Ellis. 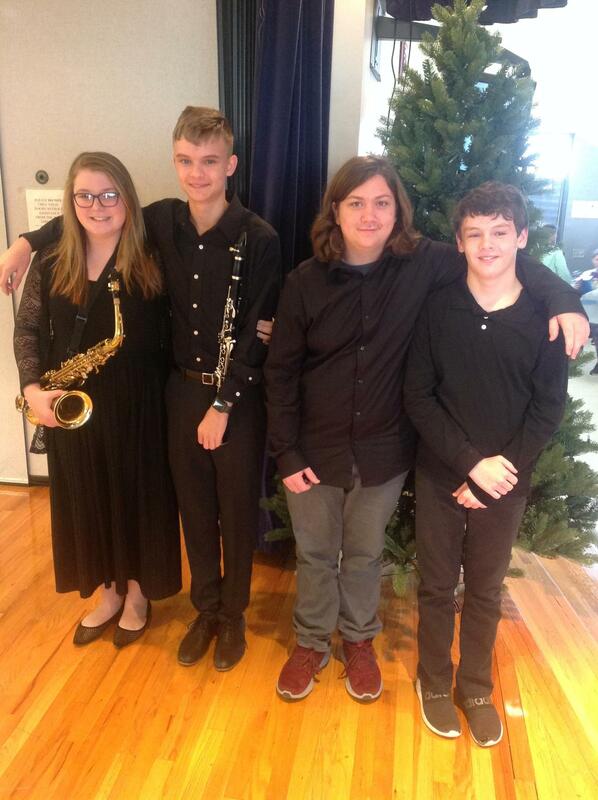 The Honor Band selections are (pictured left to right): Madi Walker (7th), Cameron Ellis (8th), Corban Pruitt (8th), and Ben South (7th).